Palmone shoes are a pair of shoes every man should have. 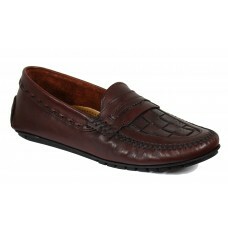 Handmade from leather these extremely comfortable boat shoes look great with pants or shorts. Gooleys Menswear have been selling them for decades, the only problem with selling them is they last and last so you wont need to replace them for years. Gooley's always has an everyday low price on this iconic brand, Palmone Shoes.